Variant Creutzfeldt-Jakob disease (vCJD) is the human version of mad cow disease and has been described as a "ticking time bomb" in Britain. 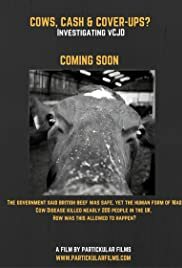 This documentary explores the claims by families of vCJD victims that a criminal inquiry should be held to examine the possibility of a cover-up by authorities of BSE in farming and the food industry. A very informative documentary that explores the mad cow disease epidemic for the 1980s and 1990s and questions wether the threat has ever gone away. I remember the crisis when I was younger and beef was absent from our household for some time as fear grew amongst the public about contacting VCJD. It was fascinating to hear from the families who had lost loved ones to VCJD and their ongoing concerns with modern day food production and the fear of deregulation of the industry that could emerge after Brexit. Macleans documentary should be seen by all and should be a wake up call to investigate how our ever increasing food demands are met and to fight for tougher standards to ensure that the food on our shelves is safe to eat.